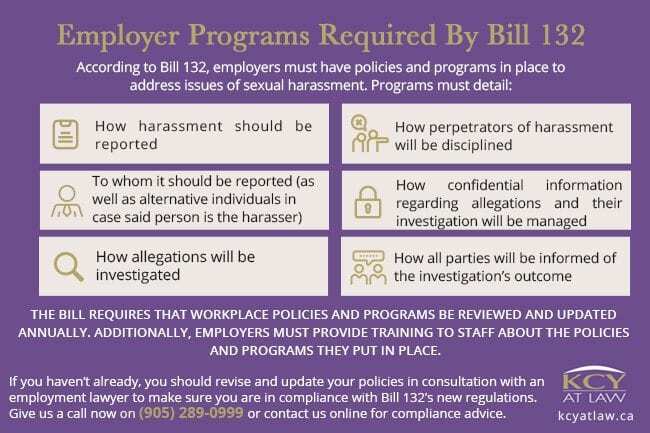 In September of last year, the Government of Ontario officially signed Bill 132 into law as part of the provincial government’s efforts to address harassment in the workplace. The Bill involves amendments to various existing statutes and legislation such as the Occupational Health and Safety Act (OHSA). The Bill expands the definition of ‘workplace harassment’ to include directing comments or conducts against an employee at a workplace that could reasonably be considered unwelcome or sexual harassment. 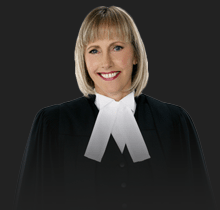 The genesis of this Bill came in March of 2015 when the Government of Ontario announced an Action Plan to Stop Sexual Violence and Harassment with the intention to protect Ontarians from the impacts of these types of harassment and violence. The Bill places a number of positive duties on employers to craft policies and train employees on how to address and investigate complaints should they arise. Failure on the part of employers to address and investigate complaints can result in a Ministry of Labour-led investigation or fines. how all parties will be informed of the investigation’s outcome. The Bill requires that workplace policies and programs be reviewed and updated annually. Additionally, Employers must provide training to staff about the policies and programs they put in place. If you haven’t already, you should revise and update your policies in consultation with an employment lawyer to make sure you are in compliance with Bill 132’s new regulations. To review or develop your workplace’s policies, contact KCY at LAW’s professional employment law team at (905) 289-0999 or fill out an online consultation request form here.